There was some guy that was full of hot air that was starting some crap because we weren't pestering SXM to get in touch with their CEO's (or something goofy like that.) He got all pissed off at us and hot hostile. I think he was digging for insider information. He got banned because he was name-calling and trying to pick fights, if I have the right guy. There have been a couple like that, that have only lasted a few posts because they couldn't keep their cool. Just checked, it was MUSCLE13 in the Sirius backstage forum. Sounds like I had 2 guys mixed together. Muscle13 pops in from time to time. He got a warning for some sort of bickering or another, but didn't get banned. He was the stock guy. There was another guy about a year and a half or more ago that couldn't keep his cool and did get banned. There was another guy about a year and a half or more ago that couldn't keep his cool and did get banned. That must've been the Alex Jones disciple. I should have bought a bunch of SXM stock when it was so cheap. It wouldn't have been much of a risk. Seems to me that, in order to have made a million on SIRI, one would need to have invested at least $50K when it was at 0.15, and then held it until it got over $3. So if you happened to have had that combination of balls and luck, good for you. Sirius XM Canada shareholders decry valuation in U.S. deal. Their latest critique suggests an information circular filed by the company shows that company directors relied on flawed calculations when deciding to recommend that shareholders accept the offer of $4.50 a share. The company has defended the process that led to the deal as fair and thorough, but faces vocal opposition as its nears a shareholder vote scheduled for Aug. 30. SiriusXM Canada has made a majority vote in favour of receiving solely cash consideration in the pending recapitalization of the company—essentially, approving its efforts to go private. Its parent company announced Thursday that large shareholders Slaight Communications and Canadian Broadcasting Corp. are giving the pact a thumbs-up at an upcoming special shareholders meeting. Sirius XM Canada Holdings Inc.—the parent of Sirius XM Canada—has won approval from a majority of shareholders to go private. As Inside Radio reported August 11, the company’s largest shareholders voted in favor of receiving a solely cash consideration in the pending recapitalization of the company—essentially, approving its efforts to go private. The parent company announced then that Slaight Communications and Canadian Broadcasting Corp—which collectively owned 22.5% of SiriusXM Canada’s outstanding shares—were giving the pact a thumbs-up at a special shareholders meeting. SiriusXM Canada originally announced in May its intention to go private. 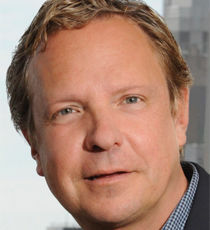 Mark Redmond, President and CEO of SiriusXM Canada, said in a release, "The strong voting support in favor of the transaction demonstrates that our shareholders recognize an opportunity for them to best maximize the value of their current investment, be it by taking advantage of the premium cash offer, remaining invested in the North American market opportunity, or a combination of both. With these shareholder approvals in place, we will continue to work to secure the necessary regulatory approvals to close the transaction in a timely manner." The agreement is subject to approval by the Ontario Superior Court of Justice and regulatory approval from the Canadian Radio-television and Telecommunications Commission. SIRIUSXM DOWNPLAYS IMPACT OF SLOWING CAR SALES. Booming car sales over the past several years have helped Sirius XM Radio grow to more than 30.6 million subscribers at mid-year, a 22% increase over its user base just three years ago. Now as auto sales downshift the company believes it’s in a better position to weather the change as it sticks to a forecast of 1.7 million new subscribers in 2016. “We still feel very confident [in] the guidance that we've given for the year,” CFO David Frear said at a recent investor conference, pointing out that even as fewer new cars drive off dealer lots, sales overall remain pretty robust on a historical basis. “If we could settle in on this [number] for a long time, we'd be really happy,” he said. Based on company projections SiriusXM continues to projects as many as 185 million vehicles will be on the road equipped with satellite radio within the next decade. That’s roughly double the number of cars enabled today. Frear told the Goldman Sachs Communacopia 2016 Conference that SiriusXM is “considerably less dependent” on what is occurring on new car lots than it was a few years ago. That’s because it has put more attention on marketing to pre-owned car buyers. There has also been a big push in the service department at car dealers nationwide. “Around 12,000 or 13,000 dealers are now signed-up for what we call our Service Lane program,” Frear said. “Whenever any car rolls into their service bay, they check to see whether or not that's got a satellite radio, does the person have an active subscription, and would they like a free 60-day trial—that's a way of getting access to cars.” SiriusXM has also formed alliances with insurance and auto financing companies as it casts a net to snare car owners beyond dealer car lots. Frear said SiriusXM is also working to grow what he called the “win back” market that looks to reenlist previous customers who’ve allowed their subscription to lapse. With roughly two out of every three SiriusXM-equipped cars on the road no longer a customer, that could be the proverbial low-hanging fruit to grow subscriber numbers. “As we look at those channels of distribution, slowly but surely new car sales edge down in terms of the level of importance,” he said. SiriusXM also worries a lot less about the impact of smartphones and streaming services in the car than it did a few years ago. The reason for such confidence is that in cars where people are already accessing web-based services, Frear said there’s been a minor impact on satellite radio usage. “We’re still not seeing it,” he told investors at the New York conference, adding, “I don't think the execution of audio entertainment in the connected vehicles being sold today is all that great.” While he acknowledged it’s bound to improve in the coming years, he believes the fact that SiriusXM will have two pipes into the car with the addition of its streaming-based 360-L product will help the company remain competitive. SiriusXM has hired Michael Weiss as the company’s Senior Advisor to Advertising Sales. Weiss will be involved in expanding initiatives for both national brand advertising and digital advertising. Prior to joining SiriusXM, Weiss spent two decades at CBS Radio, where for the last nine years he was President of Sales. SiriusXM Radio CEO David Meyer consistently touts the company’s cautious investment in any technology or strategies that don’t directly pertain to its content platform. The satellite broadcaster’s interest and involvement in the connected car, however, is a much different story. Meyer’s comments came amid another rosy financial report from the satcaster for both fourth quarter and year-end 2016. Its subscriber base grew by 355,000 in Q4, helping revenue climb 9% to $1.3 billion from $1.19 billion year-over-year. Net income was $204.6 million, compared to $134.6 million in 2015. The year ended with a new high of 31.3 million subscribers, after adding more than 1.75 million net new subscribers during all of 2016. Annual revenue climbed 10% to a record $5.0 billion. The growth was driven by a 6% increase in subscribers and a 3% increase in average revenue per user. New car penetration has now reached 75%, while used car opportunities continued to grow he said, with 31% of all resold vehicles now equipped with a satellite radio, up from 27% last year. Meanwhile, the company is working with 25,000 franchise and independent dealers to offer trial subscriptions, up from 19,000 in 2015. A large focus of its strategy to maintain such presence is with SiriusXM’s 360L initiative. “The vision is really simple: Provide a seamless 360 degree listening experience no matter whenever, wherever and however our subscribers want it. We do not care how subscribers listen to SiriusXM, only that they listen,” Meyer stressed. To expand beyond in-car listening, SiriusXM’s 360L is not only directed at mobile and streaming platforms such as Android Auto and Apple Carplay, but also direct access via the likes of Amazon Fire TV; Samsung, LG and Sony televisions; Apple TV; Chromecast; Playstation; and Roku. “Our investments are focused on making it easier to enjoy SiriusXM at home or on the go,” Meyer said. I haven't looked in a year or more, but it's always interesting to see what comes up with a US Patent Office search. It was a fresh setback for the multistate effort by artists to collect royalties on recordings made prior to Feb. 15, 1972. A federal appeals court in New York dismissed an attempt by Mark Volman and Howard Kaylan—a.k.a. Flo & Eddie, frontmen of the Turtles—to overturn a December decision which concluded federal law exempting all musical works created before that date takes precedent over a never-used state statute. The New York court’s decision comes nearly three months after SiriusXM agreed to pay as much as $99 million to settle a class action lawsuit filed in California in connection with its use of pre-1972 records. The New York ruling will reduce the size of that payout by more than $5 million according to estimates. HecticArt, microbob, goreds2 and 1 other person like this. Lame, my local classic station plays pre 72 zepplin every weekend. Funny, my local FM station plays 72 Zeppelin tunes every weekend. Also 84 AC/DC tunes, 67 Metallica, and 62 Skynyrd. Murmuration: A flock of starlings - from my calendar this morning. MUSIC GROUPS TAKE ISSUE WITH SIRIUS-PRE-1972 SETTLEMENT. A group of music associations has taken issue with a settlement between SiriusXM Radio and Flo & Eddie of the Turtles over recordings made prior to 1972. According to Billboard, SoundExchange, the Recording Industry Association of America (RIAA) and A2IM filed an amicus (friend of the court) brief asking that the settlement not be approved in its current form. The associations claim in a filing in the U.S. Central District Court of California that the Nov. 2016 settlement could impact future rate-setting proceedings and how pre-1972 recordings are valued and licensed. The leaders of ‘60s rock band the Turtles and the satellite broadcaster settled a California federal lawsuit over music royalties for pre-‘72 recordings last November. SiriusXM agreed to a 10-year license for recordings by parties in the class action suit at a 5.5% royalty rate. That would add up to $25-$40 million, depending on how the class action suit turned out in the other states where the Turtles filed suit. Sound recordings made before Feb. 15, 1972 aren’t covered by federal copyright protections. That’s what led Mark Volman (Flo) and Howard Kaylan (Eddie) and other music rights holders to raise the legal question of whether a public performance right exists for creators of sound recordings under state laws. The filing says that labels and performer organizations have “deep misgivings about the prospective relief embedded in the Turtles settlement, including the assertion that it identifies a ‘market rate,’” which could be used as evidence in future rate proceedings, according to Billboard. SIRIUS ROBOCALLS PROMPT ANOTHER CONSUMER LAWSUIT. SiriusXM Radio is once again being sued for alleged violations of the Telephone Consumer Protection Act, which forbids telemarketing robocalls. In this instance, Allen TX-based Thomas Buchanan, “on behalf of himself and all others similarly situated,” accuses the satcaster of multiple unsolicited calls inviting him to become a subscriber, despite the fact he is on the National Do-Not-Call Registry. While the allegations represent Buchanan as a single plaintiff, curiously, he is represented by multiple legal counsel firms and individuals, as listed in court documents obtained by Inside Radio. They include: Hughes Ellzey LLC, Turner Law Offices LLC, Siri & Glimstad LLP, Werman Salas P.C. and Mark A. Alexander P.C. They are based in Texas, Georgia, New York City and Chicago. In the lawsuit, Buchanan says that he purchased a 2011 Honda Odyssey van in May 2016 in Texas, which “unbeknownst to (Buchanan) and his wife, came with an unconfigured SiriusXM radio installation.” A month later, he says a “welcome package” was delivered, including a free trial offer for the service—which he ignored. Buchanan is asking for damages, court costs and a trial by jury for the violation—as well as verification that SiriusXM will cease any such telemarketing calls to registered consumers. The lawsuit closely mirrors a February filing by five consumers in the Central District of California. Attorney Tammy Hussin is not linked to the Buchanan case. Investment bank Barclays lowered its rating on SiriusXM Radio stock on Wednesday from a bullish overweight to a neutral equal weight. According to Barclays, the satcaster now has a less favourable risk-reward outlook. This comes in the wake of SiriusXM’s stock being buoyed recently after Berkshire Hathaway increased its ownership stake to about 3.5% of shares. There have also been recent musings from management of a lower likelihood of a merger with Pandora Media, according to multiple financial publications, and specifically cited by Investors Business Daily. That publication reported that SiriusXM majority shareholder Liberty Mutual “recently threw cold water on speculation that it will buy Pandora, but a possible deal can’t be ruled out.” Liberty owns 67% of the satellite broadcaster. Perhaps as a direct result, SiriusXM shares fell 1.7% to $5.10 Wednesday. It hit an 11-year high of 5.53 on Feb. 13. Overall, shares of SiriusXM have been robust in 2017, with its stock up nearly 14.5%. In mid-March, it was up almost 22.5%, according to Investopedia. Barclays predicts a stock price target of $4.90. Investors Business Daily responded to the Barclays report saying that SiriusXM has outperformed 92% of stocks in key metrics over the past 12 months.